Notice of meeting attached to railings at The Warren, Whitfield Street. It seems residents in Fitzrovia will be expected to be in two places at once if they are to have any say about two very important environmental changes affecting the neighbourhood. Or they have to make a choice. Camden Council have scheduled two public consultations on the same evening and at different venues. 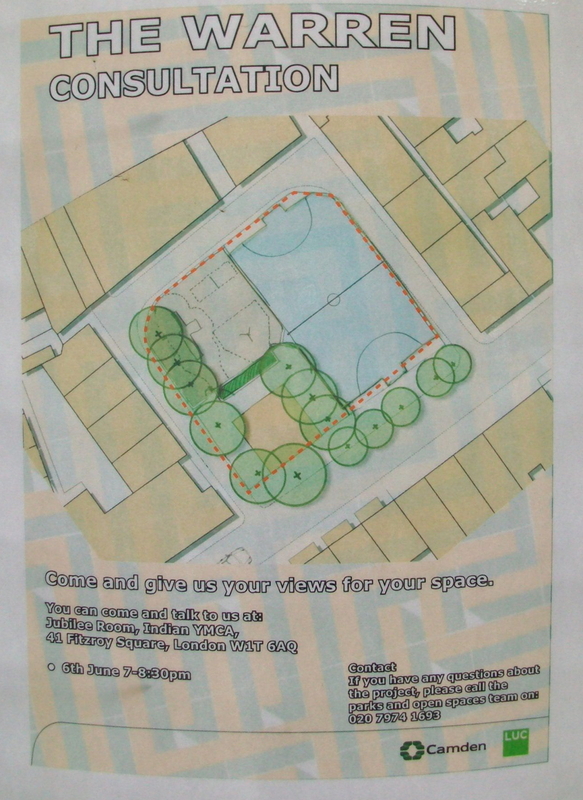 According to a public notice placed at The Warren, the final plans for the first phase of improvement to the public open space will be revealed at a meeting on Thursday 6 June at the Indian YMCA in Fitzroy Square. 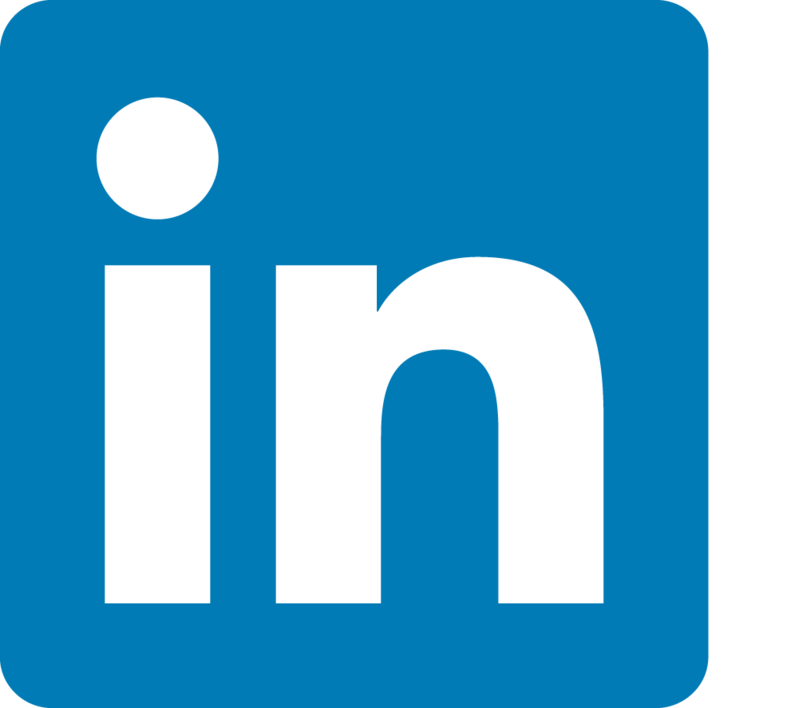 This is a follow up to two meetings previously held. The Warren is located between Tottenham Court Road and Whitfield Street. Letter sent to Fitzrovia residents. 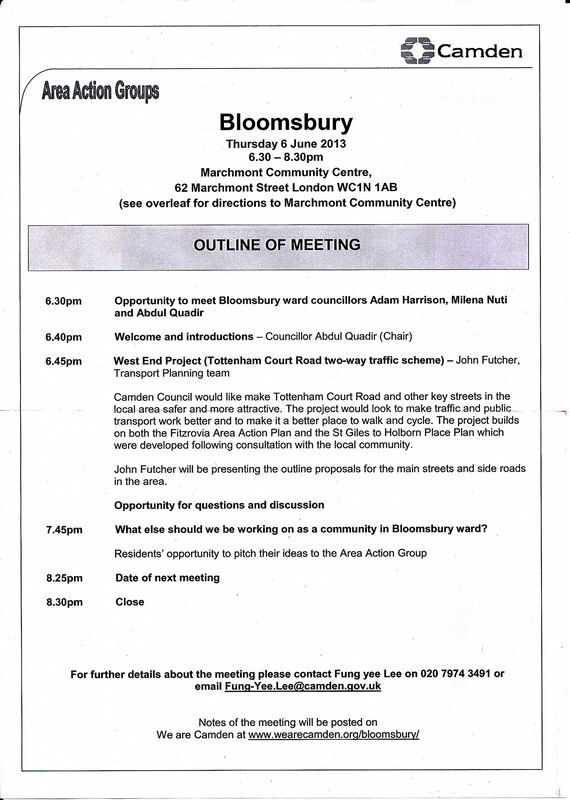 Meanwhile Residents in Fitzrovia have today received invitations to a meeting of the Bloomsbury Area Action Group at Marchmont Community Centre in Marchmont Street where plans for radical changes to Tottenham Court Road and Gower Street are to be presented and discussed, on the same evening. Currently the two roads make up a combined traffic system for vehicles travelling north and south. The proposals will include introducing two-way working to replace the existing one-way system and numerous other environmental changes. Those having an interest in Fitzrovia’s streets and public spaces will be forced to choose between one meeting or the other in what some may regard as a plot by Camden to divide up the handful of “usual suspects” who take a keen interest in environmental matters. A more mundane explanation is that the part of the council concerned with one aspect of environmental matters is not actually aware what another component working elsewhere in the town hall are up to. Our informant tells us that The Warren consultation will be rescheduled. The Warren Consultation: time and date to be confirmed. 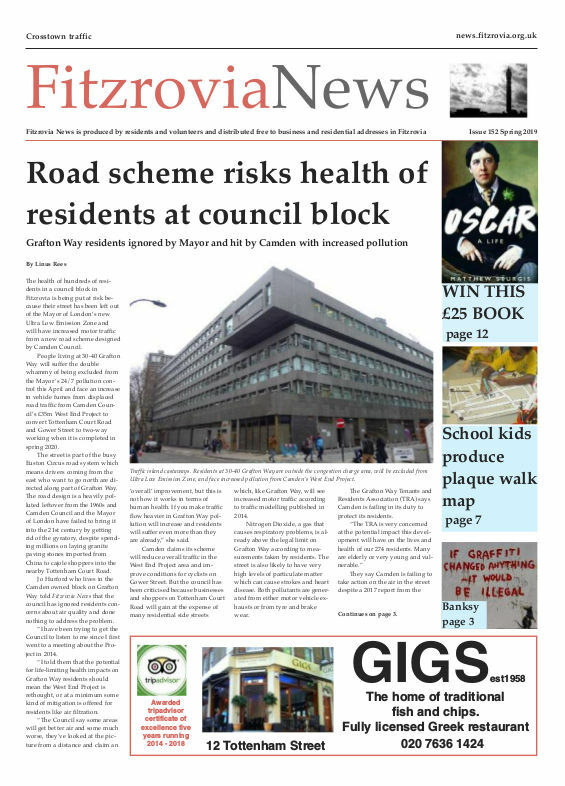 Changes to Tottenham Court Road and Gower Street: 6.30 pm to 8.30 pm Thursday 6 June 2013, Marchmont Community Centre, 62 Marchmont Street, London WC1N 1AB.